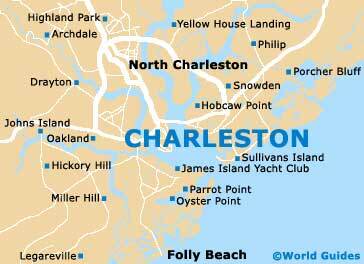 Charleston is packed with exciting tourist attractions that will please the whole family. 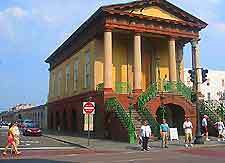 Popular tourist attractions in Charleston include the culture and colorful identities of the city market, which is great for picking up a few souvenirs for the folks back home. Further tourist attractions, such as the wonders of the South Carolina Aquarium on the harborside, and the historical significance Charleston's old colonial forts and Southern plantations, are not to be missed. 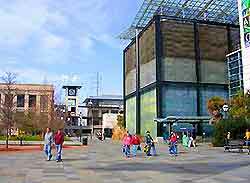 The South Carolina Aquarium is a popular family attraction showcasing a large range of Southern aquatic life, housed in five distinct habitats. Jutting out into the harbor, the Aquarium's highlights include the Great Ocean Tank Exhibition, which houses sharks, turtles, stingrays and a myriad of other species; Secrets of the Amazon; and a replica of a blackwater swamp. Now a Charleston institution, this popular open-air market is a must-see to complete the authentic Charleston experience and pick up a few souvenirs. Among the numerous attractions and items for sale at the City Public Market are local art, jewelry, clothing, furnishings and the symbolic sweetgrass baskets, each of which famously has a unique design. One of the country's most significant historic sites, the Fort Sumter National Monument is where the Civil War broke out on April 12, 1861. Today, visitors can explore original gun turrets, visit a small museum and take guided tours led by park rangers. The Fort has been used in the past for historical battle re-enactments, but in the summer is packed with history buffs and curious families tracing American history. 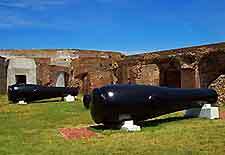 A fascinating fort with a long and distinguished history, Fort Moultrie was built in the 1770s before being abandoned soon after by the British. The current structure is the third to be built on the site, dating back to 1809. 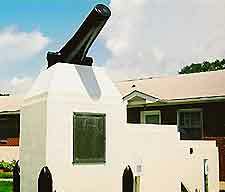 Fort Moultrie has played an important role in coastal defense, giving it pride of place among Charleston's distinguished historical attractions. Established in the 1670s, ten generations of the Drayton family have called this place home. Visitors to Charleston's Magnolia Plantation can explore a small art gallery and homestead filled with museum-quality period furniture, while the breathtaking gardens of azaleas and camellias offer quiet respite. 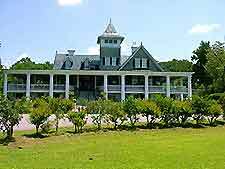 Other attractions at Magnolia Plantation include a petting zoo, waterfowl refuge, antebellum cabin and a plantation rice barge.